This year's Berlin Festival at Tempelhof Airport is readying itself for take off with a raft of new musical acts to announce. Firstly, Las Vegas superstars The Killers will be paying a visit to the German capital to headline the festival, which takes place from 7th to 8th September. With three hugely successful studio albums under their belt and millions of records sold, The Killers are set to release their fourth album in 2012 and are a massive addition to the festival. Joining a bill that boasts Sigur Rós, Franz Ferdinand, Orbital, Little Dragon, Friendly Fires, Metronomy and Totally Enormous Extinct Dinosaurs is British singer/songwriter Kate Nash. Her two studio albums have seen great success across the UK, Europe, US and Australia and festival friendly anthems like like ‘Do Wah Doo’ and ‘Foundations’ ensure she’s always a firm summer festival favourite. Next up, is the BBC Sound of 2012 winner, Michael Kiwanuka, whose unique voice and soulful sound have seen him compared to the likes of Bill Withers, Randy Newman and Otis Redding to name but a few. 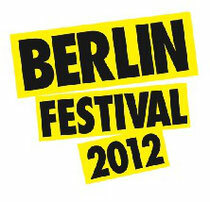 For latest info, log onto www.berlinfestival.de.